Sign up beings on November 1st. However, here is NO need to be first on the list. Sign-ups will continue through November 19th. 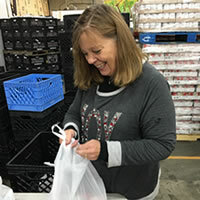 If you and your family are new customers at Helena Food Share, please bring a photo id and a social security card for each member of the household. Come down to Helena Food Share at 1616 Lewis Street or the East Helena Pantry in the United Methodist Church at 50 Prickly Pear Ave., North to sign up for a holiday meal. Monday from 12:30 pm to 6:30 pm and Tuesday to Friday from 12:30 pm to 3:30 pm. Monday from 2:30 pm to 3:30 pm and Thursday from 5:00 pm to 6:00 pm. When you sign up for your Thanksgiving meal, you will choose your pick up location. 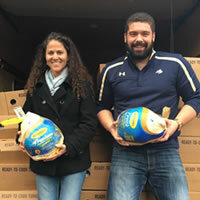 Thanksgiving meals will be distributed at Helena Food Share on Monday, November 19th from 8:00 am to 6:00 pm. 375 Thanksgiving meals will be distributed at St. Mary Catholic Community (1700 Missoula Ave.) on Sunday, November 18th from 12:00 pm to 3:00 pm. Sign up begins on December 1st. However, there is NO need to be first on the list. Sign-ups will continue through December 21st. If you and your family are new customers at Helena Food Share, please bring a photo id and a social security card for each member of the household. Come down to Helena Food Share at 1616 Lewis Street or the East Helena Pantry in the United Methodist Church at 50 Prickly Pear Ave to sign up for a holiday meal. 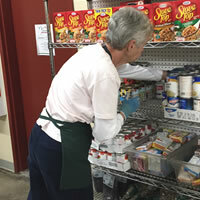 Note: Christmas meals will only be distributed at Helena Food Share, 1616 Lewis Street. Christmas meals will be distributed on Friday, December 21st from 8:00 am to 6:00 pm.